If no one wants the tickets, the expensive box is usually empty, and there is no one at the game to see your advertising what’s the point? At the annual Rays luncheon, Rays owner Stu Sternberg put the touch on the Bay area business community citing a lack of corporate support. Throwing out the old “you’ll miss us when we're gone,” Sternberg chided local business for not supporting the team you can read more in Charlie Frago’s Tampa Bay Times article: Stu Sternberg to Tampa Bay business community: Rays need corporate support now. If you go back and look closely at the record, I am not sure MLB was ever really on board with baseball in St. Petersburg. 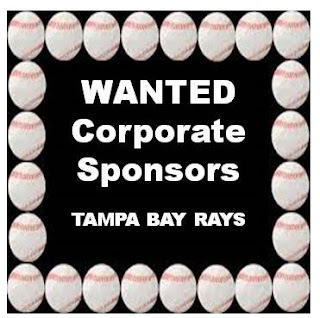 This may be a chicken and egg question, but the fact is with the level of fan base the Rays seem to have it is not too surprising to me that local businesses are not lining up to by expensive luxury boxes and fists full of tickets. If no one wants the tickets, the expensive box is usually empty, and there are no people at the game to see your advertising what’s the point? MLB likes all of those business supporters because they are easily shamed into spending more money and supporting team initiatives. Most business people in a position to consider a major sports team sponsorship investment are smart enough to know where that money will yield a good return. Will a shiny new stadium with even more expensive luxury boxes and tickets really turn on the Tampa Bay business community? Will threats to leave the bay area scare businesses into corporate sponsorships? Until that happens, I suspect Tampa Bay Business will set in the cheap seats if they go at ll.